Excerpted from the book Fearless Genius: The Digital Revolution in Silicon Valley 1985-2000 by Doug Menuez, Atria Books. 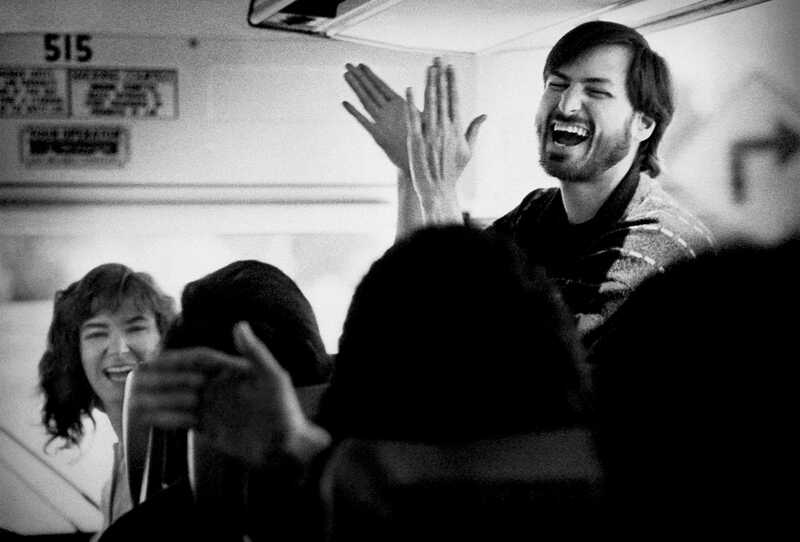 Foreword by Elliott Erwitt, Introduction by Kurt Andersen.Steve Jobs speaks to NeXT employees at an off-site meeting. Documentary photographer Doug Menuez spent 15 years documenting the everyday activities of some of the biggest names in tech, including Bill Gates, Jeff Bezos, Steve Wozniak, and John Sculley. 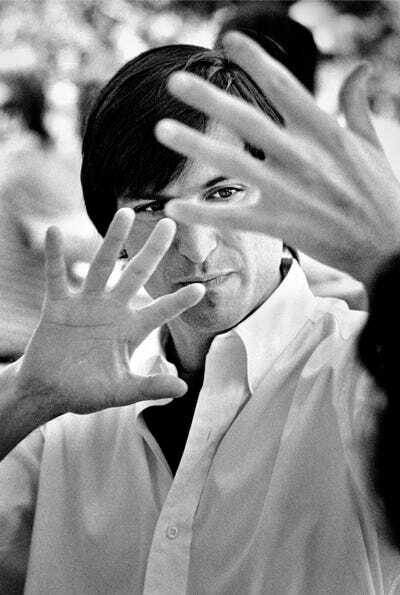 But Menuez says that it was photographing Steve Jobs that had the biggest impact on his life. Menuez spent three years photographing Jobs at NeXT, the personal computing company he started after he was ousted from Apple in 1985. The photos were meant to be published in Life magazine. The office environment at NeXT was intense, and Menuez says he felt burned out at the end of the project. Having the trust of Jobs changed Menuez’s life. The photos were never published, since Jobs had decided Life magazine was no longer cool by the time the project was finished. The prints remained hidden away in boxes for years, until Menuez assembled his work from the period in a book called “Fearless Genius: The Digital Revolution in Silicon Valley,” which Atria Books published in June.